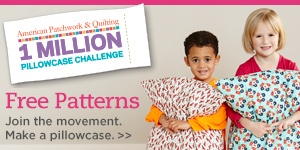 Learn how to machine-quilt beautiful feather designs. View the steps for making beautiful feathers plus get our tips for making the process even easier. "Feathers are a classic quilting design. You may have seen these intricate designs on beautiful heirloom quilts, and thought, 'I can't do that.' But you can, and we are going to show you how. 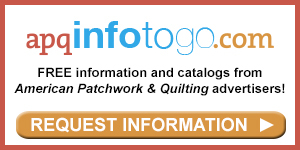 Hi, I'm Elizabeth Tisinger, editor of American Patchwork & Quilting, and I'm joined today by Vicki Hoth, education coordinator for Handi Quilter quilting machines. Welcome, Vicki." "Thank you." "Feathers really aren't that hard when you just break them down into a few simple steps. So, Vicki, where do we start?" "Well, the first thing we need to do is pick up a pencil. We need to start drawing. We need to consider the feather as a tear drop or as a question mark. So if we do a tear drop or a question mark or a half heart." "I like to think of them as sort of a paisley shape -- that sort of helps me keep them straight." "Yes, everybody has to have their way of associating it with something so that they can understand how to draw them. Ok, so we've decided what we want to do, but we have to practice and practice. So we keep drawing until we get that shape comfortable, that hand-eye coordination." "One technique that really helped me, Vicki, was practicing on this handwriting paper, the kind that you learn to write your ABCs on in Kindergarten." "You did learn something." "I did, and the lines on here really helped me keep my tear drop shape consistent and the same size." "That's right. Now, we're finished with that. We've got that mastered. Let's move over back to the paper. We want to be able to mirror on the other side of this spine the other side of the feather." "We've made a curved line. And we've applied the feathers to the top. The next thing we need to do is mirror them. We've started mirroring." "Now, do they have to match up like that every curve?" "They actually don't. You notice as the curve gets deeper there may be more feathers, as it gets smaller there may be less. See? They don't match. But they look really pretty together, don't they?" "They do. We can actually see a stitched example of that." "So, we've done the straight or the curved line here, and in here, we've actually done a circled wreath. And as you've asked, do we have to match feather for feather, in a circled wreath you won't be able to do that, because if you did, you've have to make your feathers smaller on the inside and then they wouldn't look as nice. So we keep our feather size consistent, more feathers on the outside than on the inside." "I get it. Now can we actually do some stitching?" "I think it's time to turn on the machine." "So to get started stitching, we're going to draw a base line for your feather. Just kind of a nice, gentle curve so that you'll have so you'll have something to have your feathers to attach to." "That's right. This gives us a direction for our feathers. So now it's my turn. We get to stitch." "So you're bringing the bobbin thread up." "I've got the bobbin thread up. From here I want to stitch on that line, and it's ok if I don't exactly hit the line. Make our first tear drop. You notice that bed I'm making for the feathers to lay on? Make a nice long bed." "This part right here?" "That's right. And they don't have to touch each other. These are kind of a fancy feather. You'll notice they're not touching as I do back up. But if I don't make a bed and I start standing them on end, then what happens there?" "They start changing direction there." "They change direction." "Which is ok if that's the look you're going for." "That's right. If I meant to do that, but I really didn't want that. I wanted them all to lay in that direction." "So, you'd just be more careful about the bed that you're trying to make." "Yes, make it long enough, so as I'm coming up over here, I still need to make a bed to lay on." "So, Vicki, I think I'm pretty comfortable with these kind of whimsical, free-form feathers that we've been doing, but what I really admire about some of those heirloom quilts are the very formal looking, intricate feathers. How do you get that precise look?" "Well, it's a little bit different technique from what we've been doing today. Let me show you. First of all, drawn an undulating line like we did before, a nice curved line. Ok, it's my turn to stitch again. It's my favorite part of this, you know. Alright, we've going to stitch, and the first thing we'll do is we'll stitch the line again and we'll make a tear drop at the end of that line. So let me go ahead and do that. Again, it's ok if you don't hit that line. We're going to make our tear drop, and I'm actually going to retrace over, and I'm ok if I don't retrace, because I can make a channel. Now I'm going to make another tear drop and a hook. From the hook, I'm going to trace, retrace, and back to the spine. There's some fun things we can do with this. I can make them bigger." "So you could do that in a border area to kind of fill up a bunch of space." "That's correct." "Well, thank you, Vicki, for demystifying feathers for us." "Well, you're welcome. I've had a fun time today." 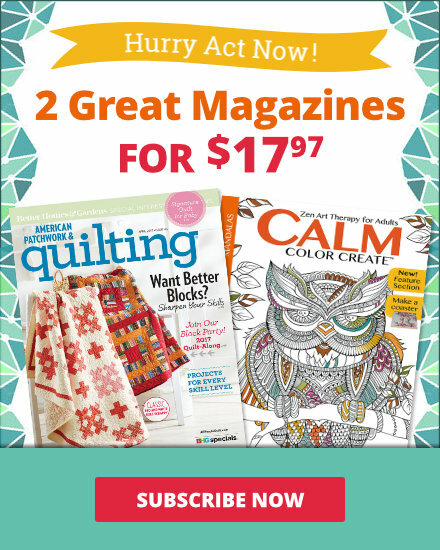 "As you can see, feathers are a fabulous addition to your quilting repertoire. They're easy to make once you know the basic shapes. And when you combine those shapes, you can produce some amazing effects. So get ready to have some fine feathered fun." 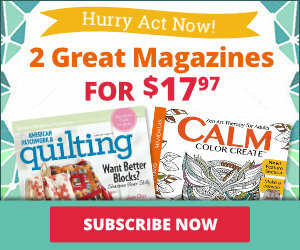 "And happy quilting."